Germany's status as the supreme force in European female club football was restored as VfL Wolfsburg beat Olympique Lyonnais 1-0 in the final, a seventh victory in 12 years. Germany's status as the dominant force in European female club football was restored tonight as VfL Wolfsburg defeated Olympique Lyonnais 1-0 in the UEFA Women's Champions League final in London. Lyon had beaten Wolfsburg's compatriots 1. FFC Turbine Potsdam and 1. FFC Frankfurt in the last two finals but tonight's result was Germany's seventh victory in the 12 years since the UEFA Women's Cup (renamed in 2009/10) was first played. Frauen-Bundesliga teams never looked back after 1. FFC Frankfurt won the first edition of the UEFA Women's Cup in 2002. Frankfurt went on to two further triumphs, in 2006 and 2008, their mark of three victories still a record after double champion Lyon's loss to Wolfsburg. Conny Pohlers was part of that success in 2008 and also Potsdam's 2005 win, and now completes a unique treble in the competition with Wolfsburg. Potsdam also conquered Europe in 2010, overcoming Lyon on penalties. FCR 2001 Duisburg are the other German side to have lifted the trophy, prevailing in 2009. Moreover, Frankfurt, Potsdam, Duisburg and now Wolfsburg all won in their debut seasons, something no non-German club has managed. Wolfsburg's victory, combined with the all-German UEFA Champions League final on Saturday, means that for the first time the same nation will win both men's and women's European titles. 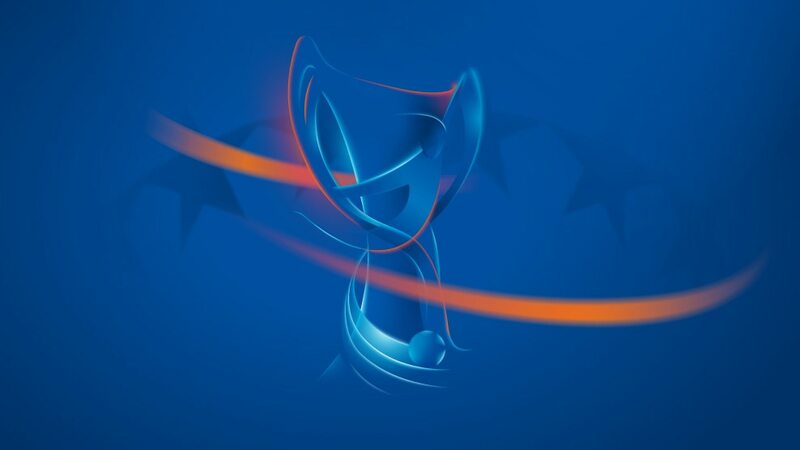 It could have been done three times before but Bayer 04 Leverkusen (2002), Liverpool FC (2007) and FC Bayern München (2010) all lost the men's deciders after compatriots had taken the female crown. VfL Wolfsburg 1-0 Olympique LyonnaisWolfsburg won the title at the first attempt as Martina Müller's second-half penalty ended the two-year reign of Olympique Lyonnais. Romanian international Laura Rus finished the UEFA Women's Champions League season as 11-goal top scorer despite Apollon Limassol LFC's campaign ending in the last 32. "We missed too many chances and in a European final you pay the price for that," Élodie Thomis told UEFA.com after Olympique Lyonnais' final defeat, and Amandine Henry agreed. Winning goalscorer Martina Müller and player of the match Lena Goessling could barely contain their joy after VfL Wolfsburg's treble-clinching final defeat of Olympique Lyonnais.